When thinking about Dalat, we mention a small but charming city in Lam Dong Province being well known for its appealing attractions and its peaceful atmosphere. However, we might forget one aspect that makes Dalat so much more gorgeous and interesting: Waterfall. Needless to say, those waterfalls there are really powerful but also romantic and beautiful somehow. Among all of them, let’s take a look at one typical example: Elephant Waterfall. Located 30km from the west of Dalat center and standing near Nam Ban village, the Elephant Waterfall is named after a large rock that allegedly resembles an elephant’s head. It would be much convenient to travel there by car if you are in a tour. But you can choose to go by yourself by catching a local bus costing 20,000 VND and taking one hour to reach there. Needless to say, the Elephant Waterfall is such a famous place that should be list in people’s choice. 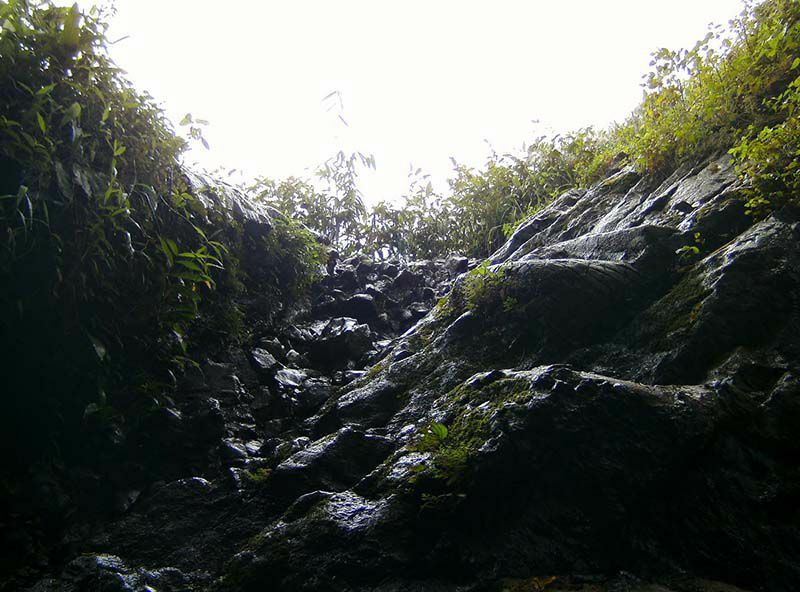 Once you’re passed the entrance (entrance ticket price is 20,000 VND per person), you’ll be left alone to tackle to precarious route down to the falls. A blue handrail has been secured into the rock to help guide visitors along the rough, slippery and, frankly, treacherous pathway, which consists of moss-ridden stones, steps cut into volcanic rock, and muddy paths. It only takes a few minutes to traverse, but you should be extremely careful and watch your footing: the spray from the falls makes everything damp and slippery. You will not want to turn your day into something disastrous when falling down, will you? Once at the bottom, look up through the tangled branches, vines, and spray to see the towering waterfall rising over 30 meters high. These falls are by no means the biggest in this list, but, because they are viewed from below, the scale, power, and volume of water far greater than they actually are. The giant boulders lying midstream are a great place to stand and admire the torrent although you’ll get very wet in the process. What can you do in this waterfall? The answer is it depends. Actually depending on how challenging and adventurous you are to determine how far you can go, you will explore every aspect of its beauty. 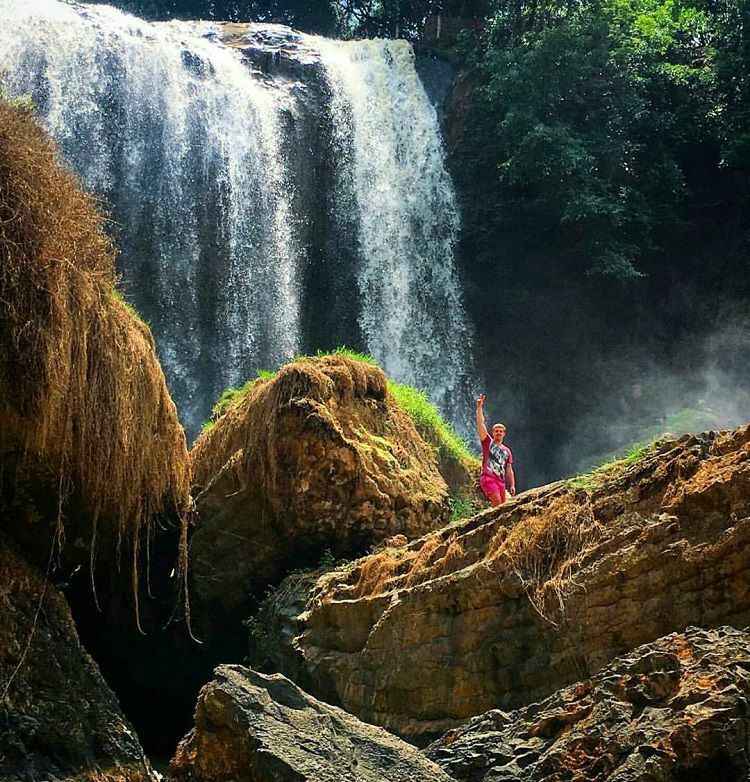 With a dramatic and powerful one like that compared to other waterfalls that are softer, the Elephant Waterfall Dalat is the perfect place for you to catch your moment standing on the rock and taking some photos with the roaring sound of the waterfall behind. In this case, camera, cell phones are all you need. But again, be careful with your movement! If you are brave enough, you can discover every corner of the waterfall. You might tighten your backpack and go through a narrow path created by rocks or trees or you will have to climb up and down like getting lost in a cave. No matter how hard it is, eventually, you will feel so cool and experience one of the unforgettable memory that you can only have when coming to visit Dalat in general and the Elephant Waterfall in particular. Elephant Waterfall is waiting to be discovered by the natural lovers. The waterfall is still keeping the original’s features. Some guest houses, tourist clubs, some poetic bridges are looming in the deep eyesight. 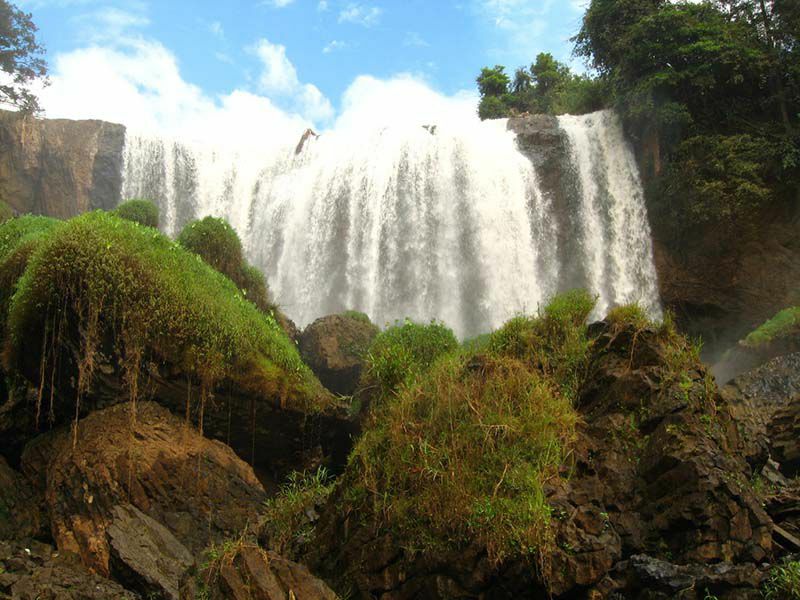 Every year, the Elephant Waterfall Dalat welcomes thousands of visitors in Vietnam travel. If you are the people who like wild, quiet, go to this place to contemplate the hills and mountains, pine forests and rocky waterfalls.